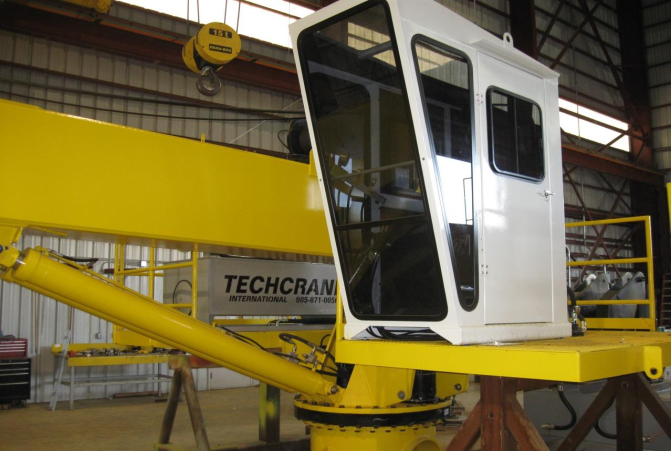 Retrofit and Upgrade of a 15Ton Crane to include Man Riding function. The crane was manufactured and purchased in 2009, to be fitted onto an FPSO for New Coastal Energy Thailand. The crane was specially designed to have bolted flange connection so that maintenance of the crane, with regards to slew ring would be easier. Even though the crane is an API 2C 6th edition monogrammed crane, the crane was also designed and certified by ABS. 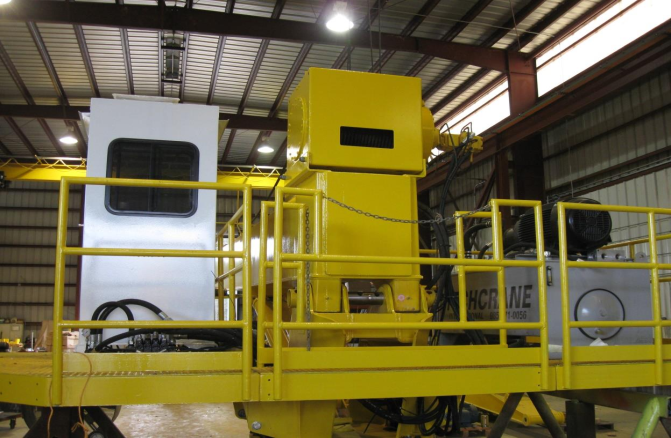 Subsequently, the end client deferred their project by about 2 years and the crane was held in storage at the factory in U.S. Regrettably, the project was subsequently cancelled and Rabutec, who had fully paid for the crane then, marketed the crane for other clients. A firm purchased order with another client from the Middle East, was secured mid-2013, to install this crane on offshore platform. 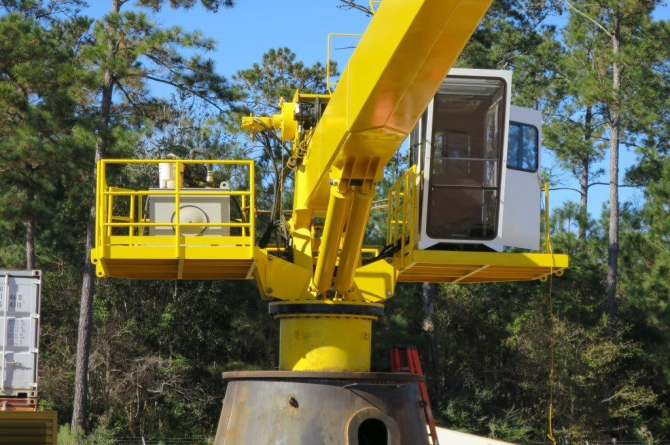 The crane was then completely serviced at the factory, cleaned out, function tested and load tested in the presence of DNV-GL at the manufacturer’s test stand facility. The following modifications were also carried out. To relocate to LHS and to modify operator control station to be an enclosed cabin (cost includes cabin, HVAC. Light, relocating of control Valve, etc.). Design, Fabricate and Install a Davit with 15ft chain fall. Some of the above modifications were carried out at the factory and at our associate facility in Coral Marine Service in Louisiana. The crane was then packed and shipped to Dubai and has been successfully installed offshore recently.